I’ve helped the NASA Academy of Program/Project & Engineering Leadership (APPEL) extensively over the past decade. A few of my assignments have included setting up and maintaining the NASA APPEL twitter account, designing annual reports, managing email lists containing tens of thousands of recipients, and helping develop their online strategy. 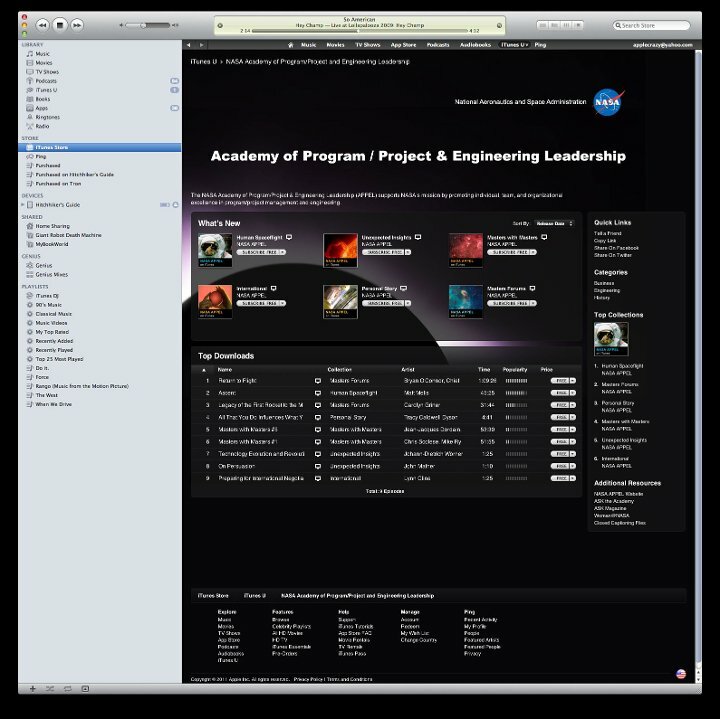 A few years ago I was asked to support the NASA Academy of Program/Project & Engineering Leadership (APPEL) communications team by integrating APPEL content into iTunes U. 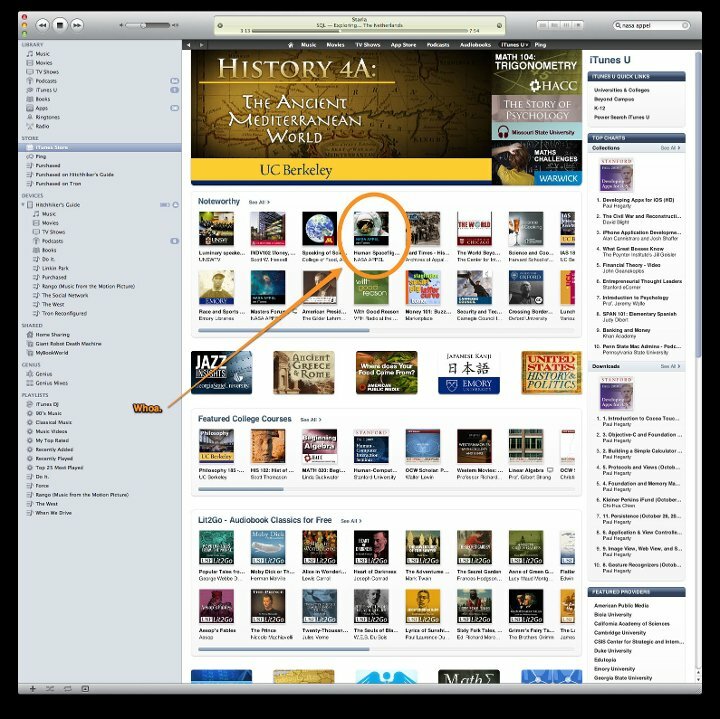 The iTunes U initiative entailed preparing content and coordinating with Apple, Inc. on the marketing of the material. Apple, Inc. has used occasions like the last flight of the space shuttle to promote the NASA content. Using google analytics, content messaging, and Apple iTunes data we have successfully promoted NASA videos, PDFs, and APPEL curriculum content to a worldwide audience. 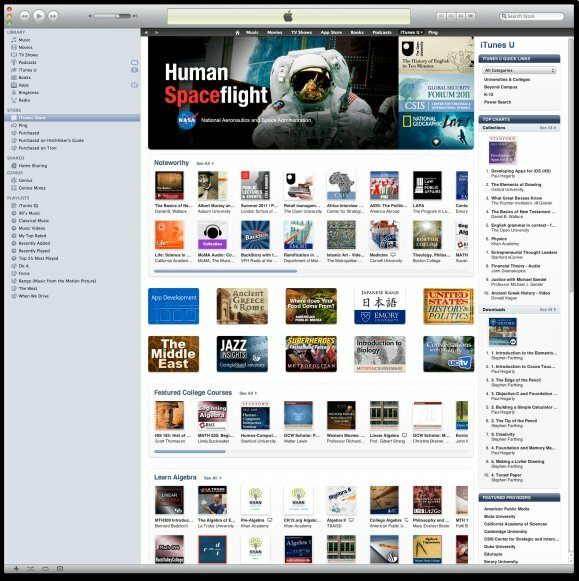 This relationship between Apple, Inc. and NASA APPEL led to individualized support during the development of the first NASA iBook and priceless insight into the iTunes system. I no longer maintain the iTunes U account, however, I continue to provide content strategy insight to the APPEL website team.